Progressive Die Stamping <br /> Size: 2.5 in. x 2.5 in. x 2 in. 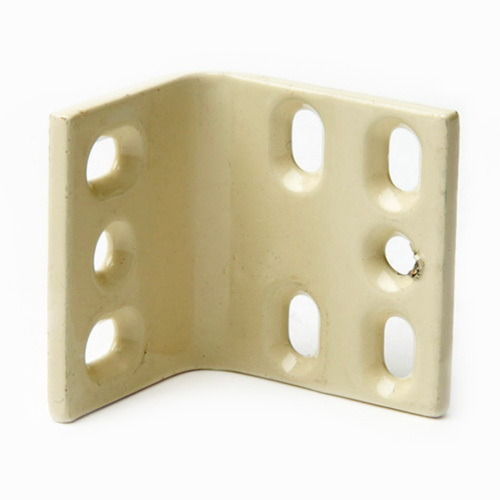 <br /> Material: HRPO 0.090 in. thick Progressive Die Stamping <br /> Size: 1.25 in. 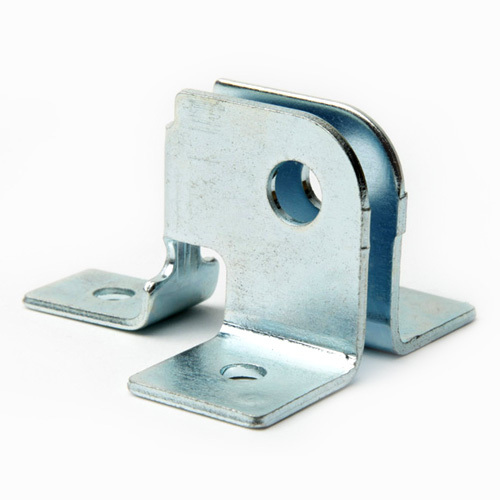 OD <br /> Material: Steel 0.030 in. thick Progressive Die Stamping <br /> Size: 4 in. x 2 in. by 3 in. 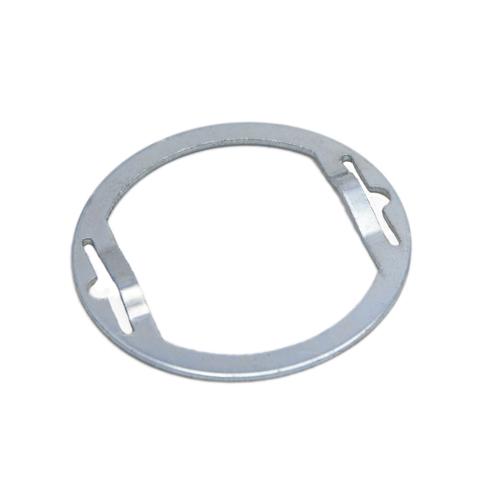 <br /> Material: 1100 Aluminum 0.100 in. thick Progressive Die Stamping <br /> Size: 4 in. x 4 in. 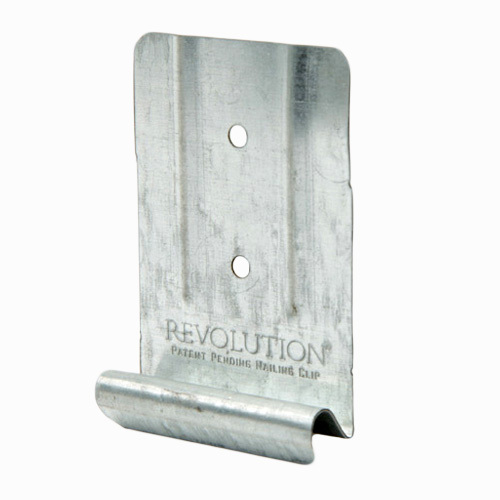 <br /> Material: Galvanized Steel 0.038 in. thick. Progressive Die Stamping <br /> Size: 2.25 in. x 1.5 in. 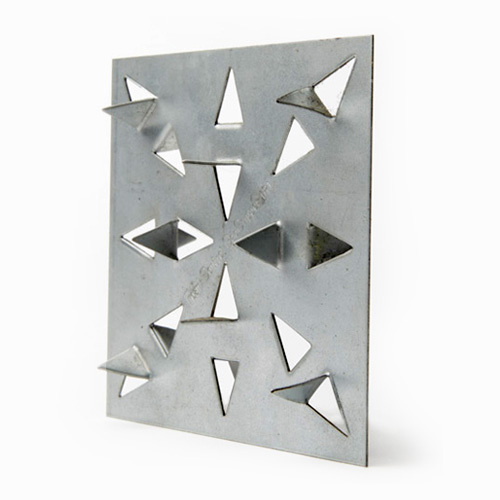 <br /> Material: Galvanized Steel 0.018 in. thick Produced from 20 Ga. Galvanized Steel. Approximate finished size is 4 in. x 4 in. x 1 in. Process Used: Progressive Die Stamped Cell. Talan has produced hundreds of thousands of these plates. Talan Products’ equipment and expertise are optimized for high-volume custom metal stamping production meeting ISO 9001 quality standards. Our custom metal stamping service uses a combination of high-speed presses, progressive dies, 4 slide, and multi-slide presses to provide the most cost effective solution for high volume manufacturing. When appropriate we design & build specialized manufacturing cells utilizing automation for high volume, low cost production. Talan operates 24 presses ranging up to 600 ton SSDC. Press bed sizes are up to 168″ x 54″. 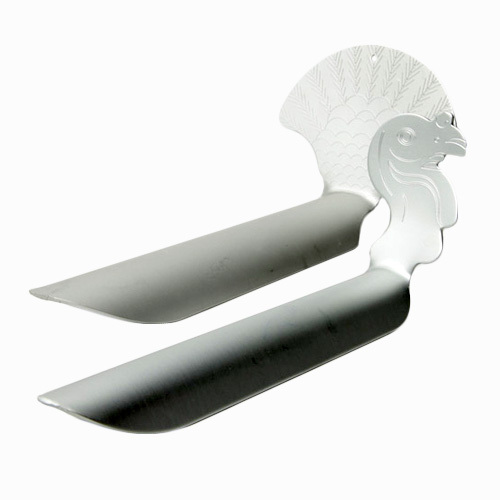 Press stroke ranges up to 12″ for stamping. Our physical plant is 165,000 square feet under one roof & arranged for the most efficient material handling possible. Occasionally, customers like to ‘peek behind the curtain’ at our high speed stamping equipment. Click here to view our complete equipment list. Although our commitment to equipment is evident, it really is our engineering expertise that transforms standard stamping into a metal working masterpiece. Customers typically involve us early in the process of designing their stamped metal products. Talan’s quality assurance team is driven by data and we strive for and achieve continuous improvement. We are happy to share our world class quality metrics with you. Shipping custom quality metal stampings around the globe, Talan Products provides you world-class quality assurance and precision stamping technology. Stamping your parts from stainless steel, aluminum, or other metals demands precision. Our ISO 9001 registered quality system assure you defect-free stamped metal parts with the tight tolerances you need at high volume production rates. Whether you’re an engineer starting a project and seeking high volume-high value metal stamping capabilities, or a purchasing professional looking for a quality-driven vendor for stamping metal, please let us quote your metal stampings.